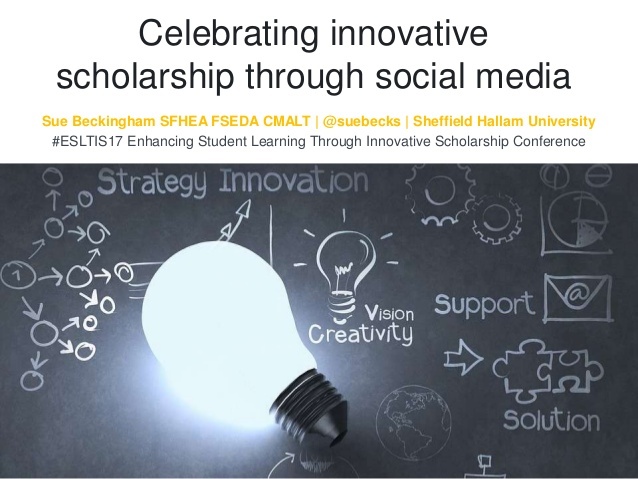 In July I presented at the Enhancing Student Learning Through Innovative Scholarship Conference which was hosted by the University of Sheffield and organised by Dr Sam Nolan and team. The focus of my paper considers the increasing relevance of digital and social scholarship, and why this should be encouraged. Teaching focused academics who practice the scholarship of teaching, share reflective practice in order to enhance the teaching and learning of others. Traditionally this may be shared through publications and conference presentations. However, digital technology and social media has the potential to extend the reach of these outputs enabling the dissemination of an individual's work to reach a much wider audience. 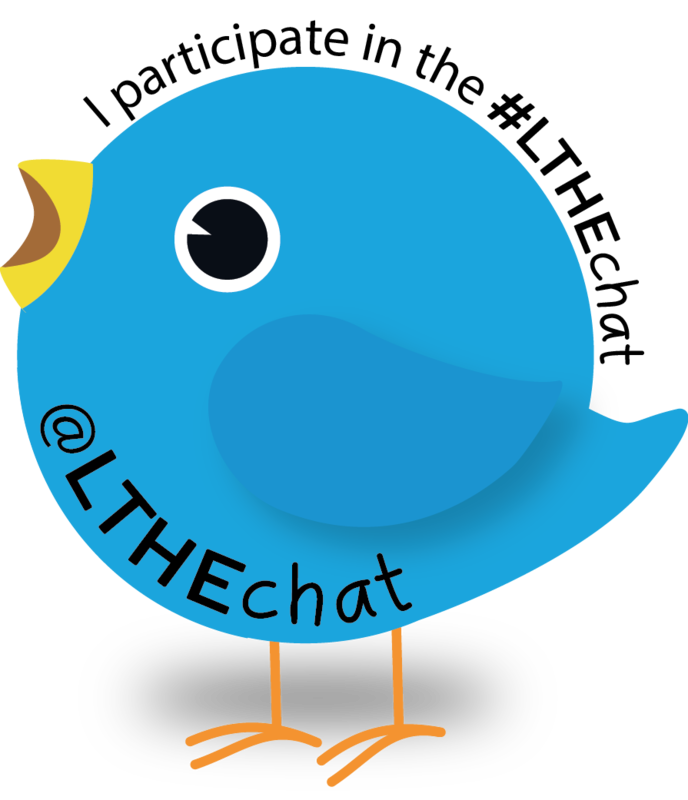 Open reflective practice through social media allows scholars to make their work more visible, findable and easily shared. 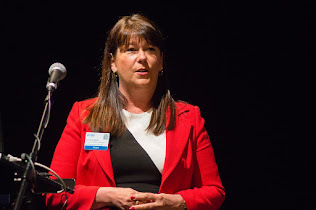 Whilst the ripple effect may be far reaching, in order to enhance learning it is important to also provide forums for discussion and question asking, inquiry and investigation, which are subjected to critical evaluation. Engagement in this scholarly process can encourage innovation and changes in practice that span different disciplines and geographical locations. 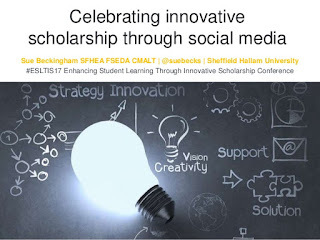 The very nature of social media as an open space also serves to celebrate teaching excellence – both the scholarship and practice – in a variety of formats. 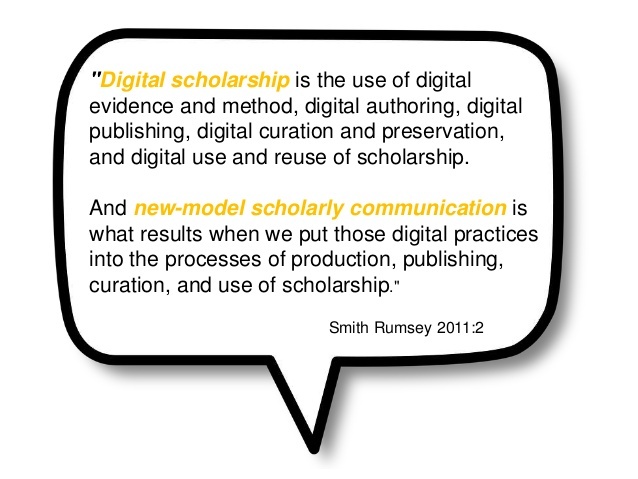 Drawing upon Smith Rumsey's work I shared this quote to define digital scholarship and gave examples of esteemed colleagues and Digital Scholars Catherine Cronin and Laura Pasquini. 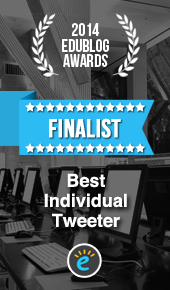 Both utilise a variety of social media to share their work openly. For example through blogging, Twitter, SlideShare, YouTube, Google+, Academia.edu and ResearchGate. We are seeing a shift away from disseminating scholarly work via mass 'all staff' emails to open blogging where it can be tagged and searched by topic. A ripple effect ensues as it can easily be shared through automated dissemination via Twitter and other social media channels, and also by those who read the posts. From my own personal perspective I value the opportunity to learn from other academics. Those that share their scholarly activity and the work of others though social media help me find this work. Often serendipity comes to lay and I come across fascinating work that I would have not found otherwise, simply because I wouldn't have been looking for it. 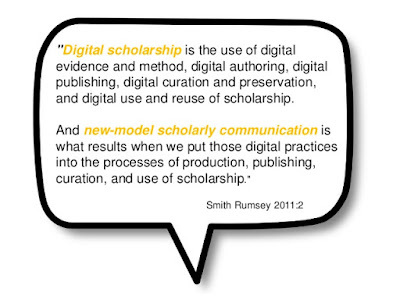 I've extended my informal learning through digital scholars from a wide range of disciplines in this way. In turn I share my own work through social media and hope this is helpful to others. 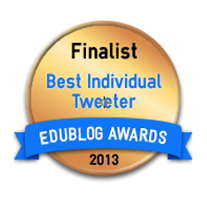 I give my work a Creative Commons licence so that other educators can use it as they wish to. To raise the profile of teaching only academics in the research intensive climate, it is vital to shine a spotlight on the innovative learning and teaching they undertake. The best way to achieve this is through the promotion of the innovative scholarship of learning and teaching being driven by this subset of the academic community. This third meeting of a national teaching fellow network is therefore a forum to share innovative scholarship across disciplinary boundaries and to develop a national voice for teaching focussed academics. The programme of abstracts can be found here.